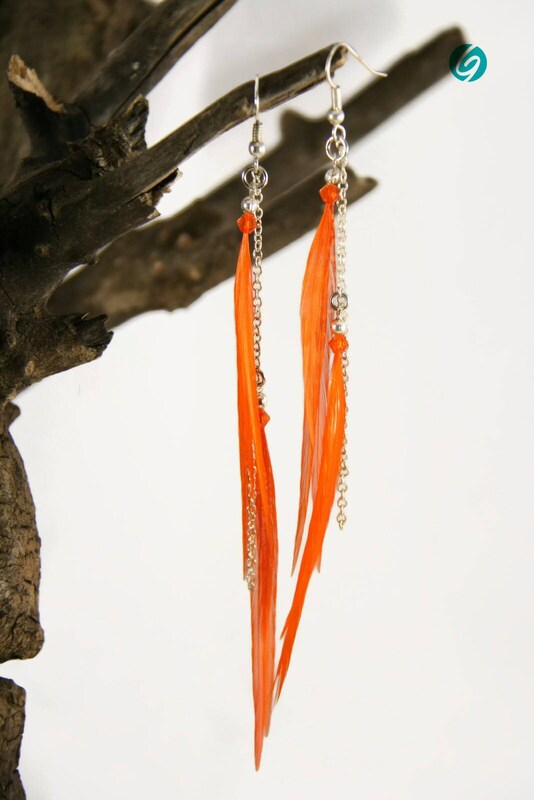 Elegant pendant asymmetric earring, made of nice long orange feathers decorated with orange swarovski style beads. long and delicate, the pattern provides a stylish look, unique and classique while remaining very light and airy. The whole is mounted on a light brass chain (silver color). Each feather is cut , assembled and glued to a more precise and delicate result. 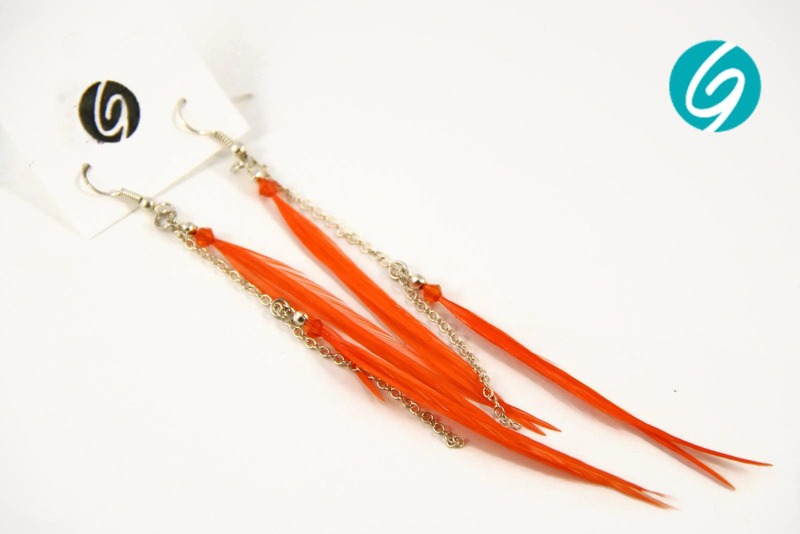 Perfect for a night, for work or for a dinner with friends, these versatile earrings give a touch of color and originality to any outfit ! J'aime tellement mes boucles d'oreille! La couleur est magnifique et j'adore la qualité des cristaux! I love them! They are my new favorite earrings. I have gotten so many compliments! LOVE! Love them, will look brill with my blue dress :) Thanks Genevieve!